hd00:20Rumeli Hisari, Rumelian castle old castle on Bosporus, Istanbul. 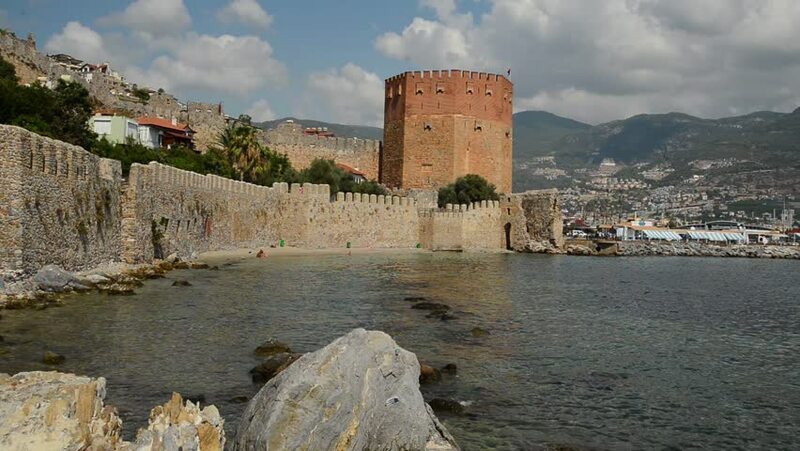 The Rumelihisar, fortification has one small tower, three main towers, and thirteen small watchtowers. 4k00:29Steady Cam Shot of ancient city from Kanlidivane in Mersin, Turkey.